This combines the best of all the best things that are happening in the industry at the moment. 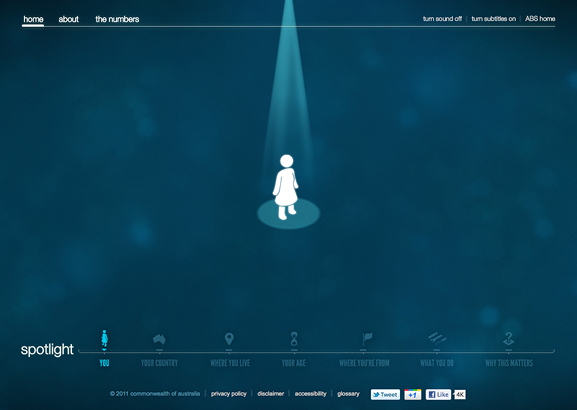 It’s human, interactive, tells a story, uses motion graphics, has something to share at the end of it. Of course it also ticks all the boxes that make it good in my book: clear, relevant, engaging, useful, original, elegant. Inevitably there are bits I’d change, notably around how they deal with some of the numbers, but overall: love it. (From Australian Bureau of Statistics but no clue as to who designed/developed it).